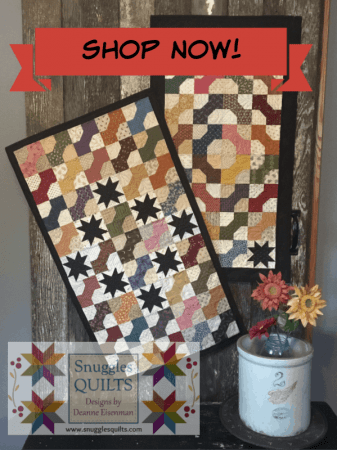 Before you start your quilt, here are some tips I think you will find helpful. 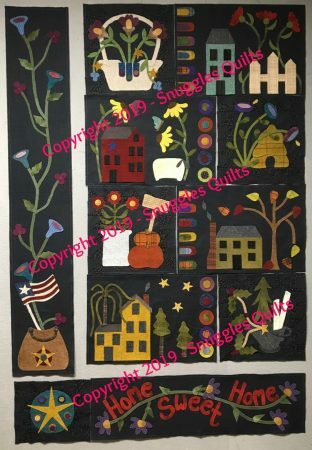 These are things I think are among the most important to make your quilting experience fun and relaxing. 1. The pattern. Always read through the instructions to make sure you understand the steps and to find all the cutting instructions. Most patterns have all the cutting instructions up front before any assembly instructions, but some do not. It’s good to be familiar with the pattern! 2. The fabric. 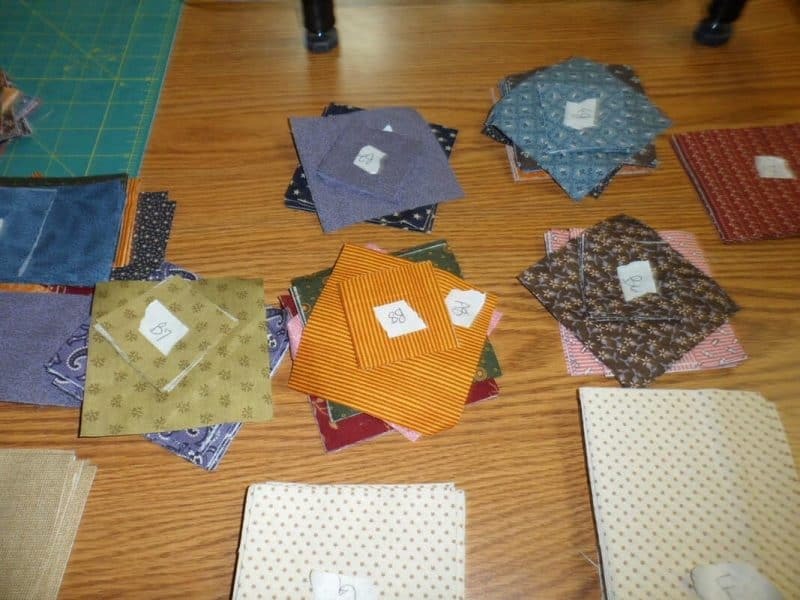 Most patterns will give you fabric amounts that allow for pre-washing and cutting errors. I know I add in some extra when I write my patterns for just that reason. But, if you are not sure that is the case, add a little extra just in case. 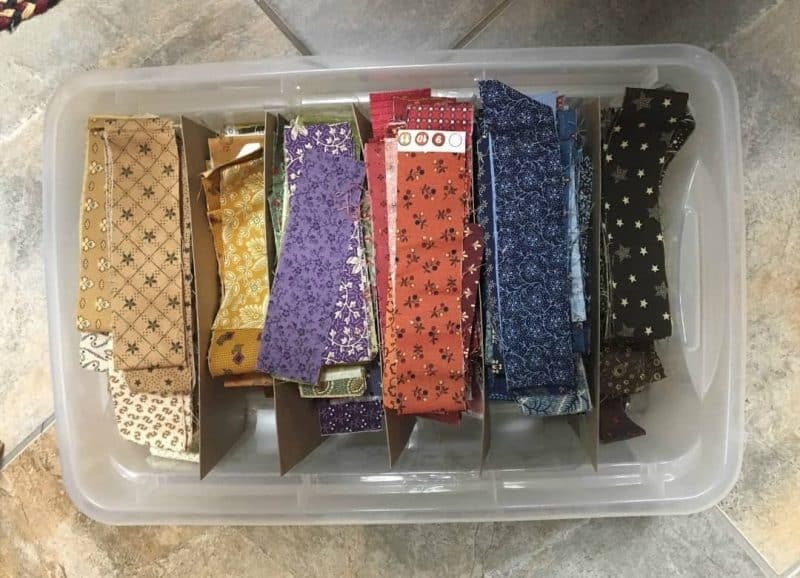 You may end up with a little left over, but you can then start your strip collection for your next scrap quilt! 3. Cutting. 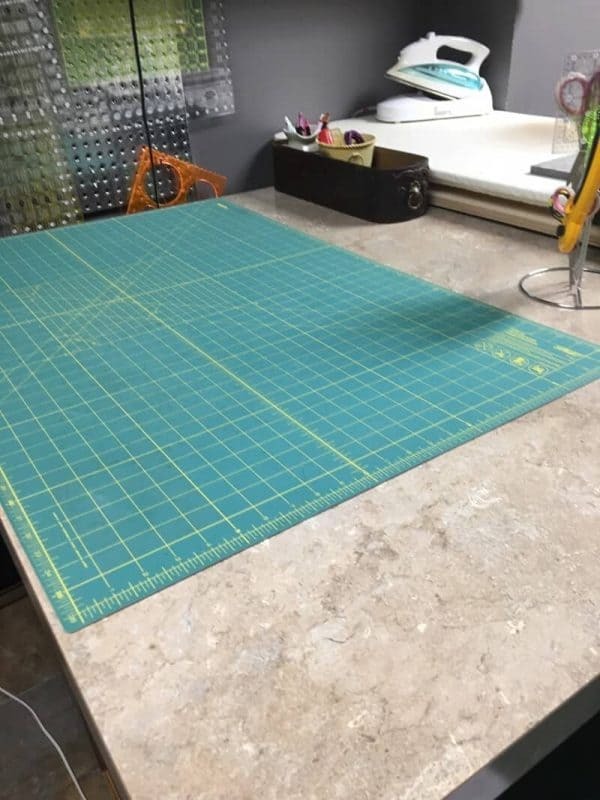 Whether you have a dedicated sewing room or you sew on the dining room table, make sure your cutting area is clear of items that can get in your way while you are cutting our your pieces. Also have your rulers close at hand. Now, I’m going to admit, my sewing area is not always this clean. I’m guilty of piling up scraps on the sides and above the cutting mat, especially if I’m cutting several projects at once. But, I think it’s a good idea to keep the area clean. Be sure you have a sharp rotary blade to cut your pieces correctly and avoid injury. If you have cut out several projects, you will notice if your blade has become dull if you have to press down hard or you feel your blade skipping as you cut. If this is happening, it’s time to change the blade. 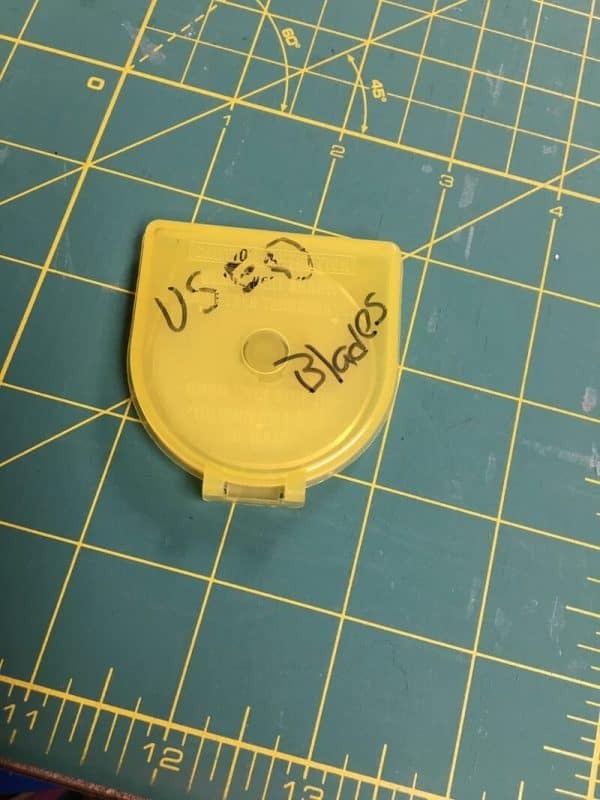 Dispose of the blade by marking an old rotary blade container “Used Blades”. Once this is full, you can discard the blades safely. 5. Sewing Machine. Be sure your machine is ready to sew. I think it’s very important to take your machine in to the dealer or quilt shop you bought it from for an annual maintenance check. Make sure it’s clean and oiled and has a needle that is in good working order. Some people do not change their needle until it breaks. Not a good guide. If you have finished piecing a large project or several small projects, the needle should be changed. A dull needle will make a “punching” sound as it stitches and may make larger holes in your fabric than you want. Also, your thread will also break easily if the needle is old. 6. Accurate Piecing. 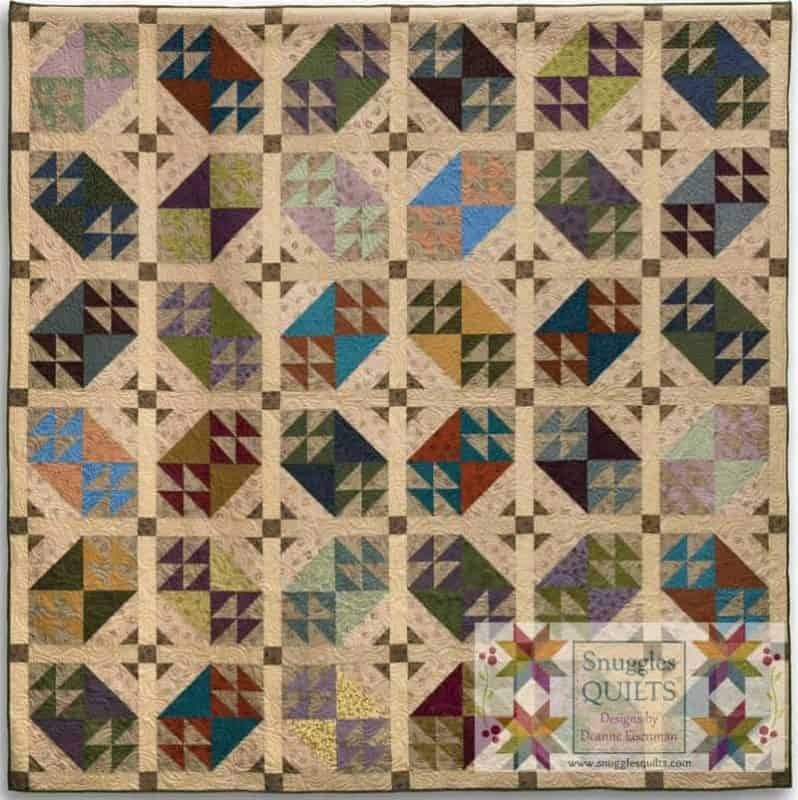 Be sure you are using an accurate 1/4″ seam allowance when stitching your blocks, unless you are advised otherwise in the pattern. Using a 1/4″ foot helps with this but make sure to do a test seam if this is your first time using the 1/4″ foot. Sew 2 scrap squares together, then measure the seam. 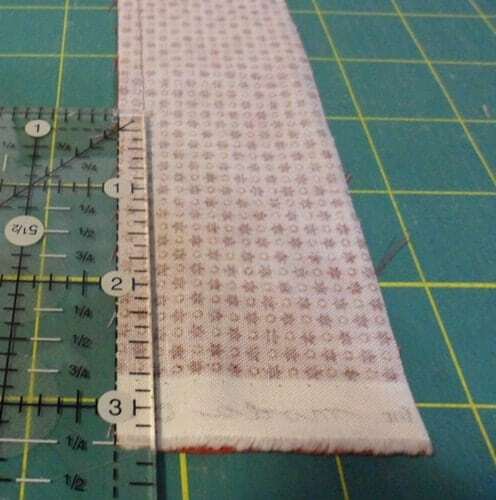 Make necessary adjustments in your sewing to achieve a 1/4″ seam. Here is a past blog post I did on this subject. 7. Stock up and keep tools close. 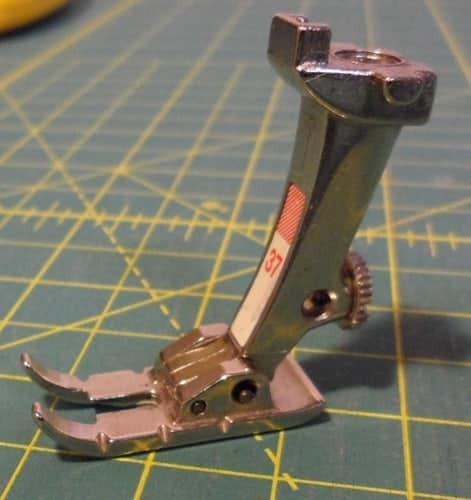 I suggest keeping tools you use frequently close by. 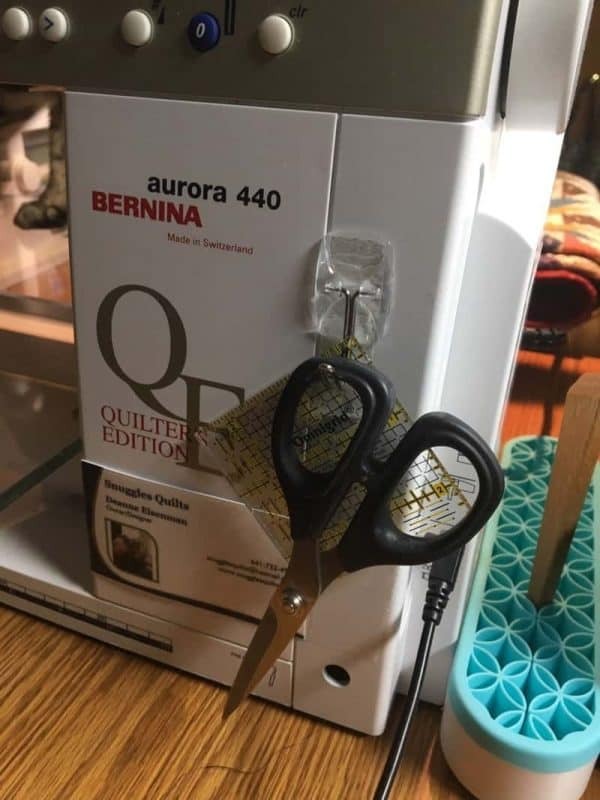 I have a small hook on my sewing machine where I keep my scissors I use for clipping seams and a small ruler for measuring seams. I also keep my wood pressing tool so I can press small seams without having to go to the ironing board for every tiny seam. Finally, wind several bobbins, so you can quickly change from an empty bobbin. 8. Pressing seams. How you press your seams is up to you. I like to press mine open because I think I get more accurate measurements for my units. When pressing seams, make sure you are pressing them and not ironing them. There is a difference! Here’s a video tutorial I did on this subject. 9. Measure units as you go. Most blocks are made up of several pieced units. 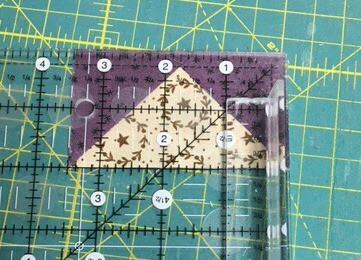 I like to measure units as I go before piecing them into a block. The more accurate your measurements are, the more accurate your block will measure. For example, if you have an 6 1/2″ star block that has 4 flying geese units that are supposed to measure 2 x 3 1/2″ making up the points, I make sure I measure each geese unit. 10. 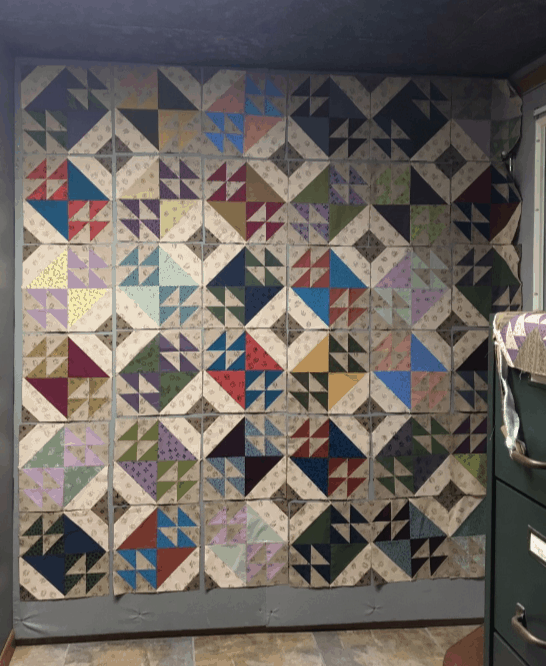 Quilt layout. Finally, I recommend using a design wall or a large floor space to layout finished blocks. This makes it easier to arrange your blocks the way you want them before stitching them into rows and then into a quilt top. Otherwise, you might get all your rows stitched together and realize you have two blocks next to each other that you wished were not. 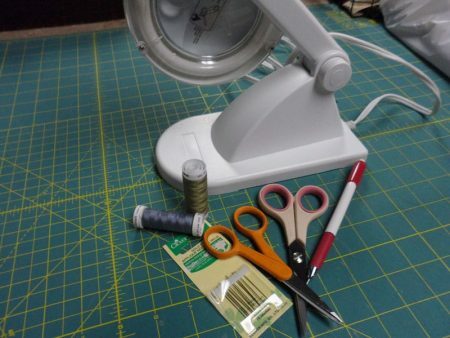 This will save you a lot of “unsewing” time! Here is a past project where the use of a design wall came in handy. The blocks were all the same, just scrappy. I wanted the colors to be distributed evenly throughout the quilt top, so this was the best way to do it.